Two women who have made an "outstanding" contribution to British television are to be made honorary graduates of the University of Salford. Alice Webb, director of BBC Children’s and CEO of BBC North, and Cat Lewis, founder and CEO of Manchester-based production company Nine Lives Media, will receive their honorary doctorate of arts awards during ceremonies at The Lowry next week. 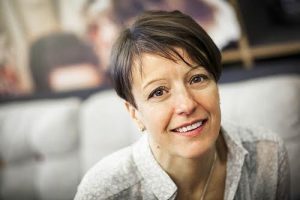 As director, BBC North, Webb was responsible for the BBC’s move out of London to MediaCityUK, and she also has responsibility for the network’s children’s content, as director, BBC Children's. 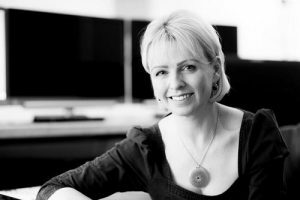 Lewis began her television career at the age of 15 when she worked as a presenter for children’s programmes in the North East, before going on to gain her first degree and then an MA in journalism. She has gone on to win an International Emmy, two BAFTAs, and five Royal Television Society awards. Nine Lives Media is one of the largest factual producers in the North West, one of just two independent production companies which makes Channel 4’s flagship Dispatches current affairs programme, and also makes content for BBC Panorama. Beth Hewitt, director of the Nations and Regions Media Conference and senior lecturer in media practice at the University of Salford, said: “The contribution which both Alice and Cat have made to the television industry is outstanding, and it’s absolutely fitting that the University of Salford, based in the heart of MediaCityUK and with such close links to the BBC and to a wide range of independent producers, should be honouring them."